In case our impressions of Samsung's new gadgets weren't enough, the company has gone ahead and posted its own official hands-on videos. We're still about a month out from the Galaxy S5's official launch, but Samsung seem intent on keeping the device in our collective consciouses—the company is likely especially mindful of a particular aluminum handset being announced next month. In addition to the S5 video, Samsung has also posted hands-on with its Gear 2 and Gear Fit, the latter of which turned out to be our favorite mobile tech from the show late last month. Samsung's videos are simple product overviews, taking viewers through feature-by-feature. The video about the S5 is particularly in-depth—at almost eight minutes—going over some of the device's bigger design changes, including its new fingerprint scanner and heart rate sensor, which we get a demonstration of. The S5 video also shows the device's camera features, its Download Booster feature and Samsung's new Ultimate power saving mode, which will turn your phone to grey-screen in order to extend the battery life. You'll also get a nice look at the S5's focus on fitness and wellness, and more. The Gear videos focus mainly on design and fitness functionality, as both have heart rate monitors built right in. We got a quick glimpse at both devices back at Mobile World Congress, so after you're done checking out TechnoBuffalo's hands-on, you can check out Samsung's, which give a nice breakdown of what each device has to offer. If you're anxiously waiting for these devices to come to market, then you'll definitely want to check these videos out. I'm still not sure about the perforated back cover design of the Galaxy S5, but the new features definitely sound awesome. 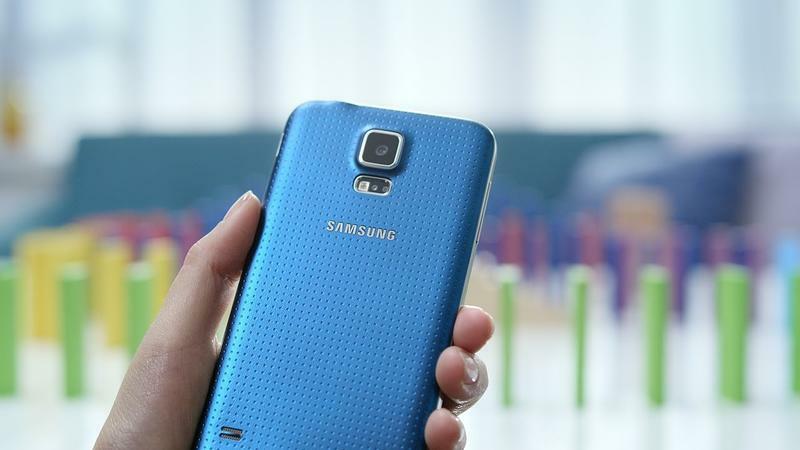 We're expecting the Galaxy S5 to hit early next month; the device has already started passing through the FCC, so it should only be a matter of weeks until it hits consumer hands. The Gear 2, Gear 2 Neo and Gear Fit are also scheduled to launch next month, which means April will be a pretty fun month for Samsung fans.